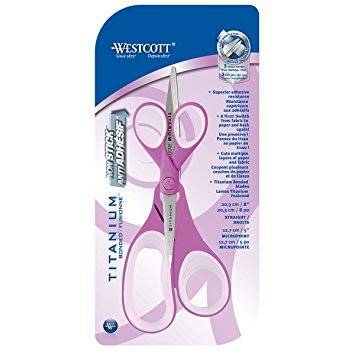 "Westcott" Titanium bonded scissors. 5 times harder than stainless steel. Superior adhesive resistance ~ tape and glue won't stick. 2 pc. set includes 5" micropoint and 8" straight scissors.